Ford Spain has made a mind-blowing futuristic baby crib that lets you record your baby’s favorite sleepytime car ride and simulate it, complete with engine noise, at home—so your baby can fall asleep without having to take a drive every night. 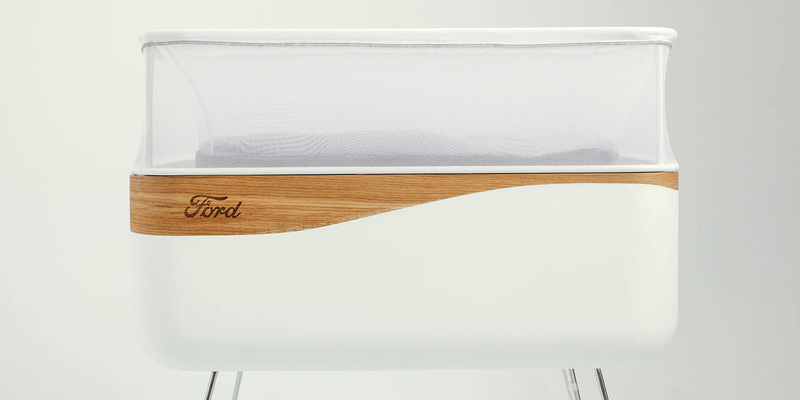 The Max Motor Dreams baby crib is a novel way to advertise the Ford Max family car range. The bed comes with slick wood panel accents (recalling the Woodie station wagons that were the preferred family vehicle of yesteryear), “restrained” engine noise machine, a brilliant LED streetlight simulator, and soft movement. As a mother of two kids under 5, both of whom loved to sleep in the car (although neither liked the car seat), this kind of invention is more than welcome. The fact that they bothered to undertake the project at all shows how much Ford cares about their customers. They’re willing to invent beyond cars to make our lives better wherever we are. Roadshow is reporting that although Ford has made only one prototype so far, it’s willing to put it into production if demand is high enough. So, start demanding, parents. Head over to the website and put your number in under ¿Quieres una para tu familia? (Do you want one for your family?). They claim you can resister for a test drive. But even if you don’t live in Spain, I encourage you to register so they’re aware of the demand. As many car commercials as we’ve covered over the years about babies falling asleep in cars, we’re shocked it took this long for someone to turn this idea into a reality. We’re putting it in the “wish I thought of that” category and waiting for it to take home the awards. Rebecca Cullers is a contributor to Adweek.